The diagnosis of non specific low back pain (NSLBP) contains a large heterogenous group with a spectrum of contributing factors highlighting the multi-factorial nature of low back pain (LBP) (Waddell 2004). It is unlikely that any one treatment alone would be beneficial to such a diverse group (Brown 2004). This has been proposed as one of the reasons for the limited evidence for various treatments for LBP (Delitto et al 1995, McKenzie 1989, Spitzer 1987). To help deal with this issue, it has been suggested that sub-classification of NSLBP will allow treatment to be better directed to appropriate groups and provide more successful outcomes (Fritz and George 2000, Leboeuf-Yde and Manniche, Fritz et al 2003). There is growing evidence for the sub-classification of movement dysfunction (Van Dillen et al 1998, Van Dillen et al 2003a & b, Harris-Hayes et al 2005, Dankaerts et al 2006a & b, Dankaerts et al 2007) and research has produced different schools of thought (McGill 2002, Sahrmann 2002, O’Sullivan 2005, Gibbons 2008). A recent review of sub-classification models identified their limitations for clinical use. McCarthy et al (2004) felt that current models do not deal with the diverse spectrum of needs and available interventions for NSLBP. This may have fostered the lack of consensus for the management of neuro-musculoskeletal disorders and the continued discrepancy in agreement for suitable therapeutic interventions. The multi-dimensional problem of LBP consists of pathoanatomical, neurophysiological, physical, psychosocial and cognitive factors (Linton 2001, Waddell 2004, Woby et al 2007). In considering the development of a clinical model of sub-classification, it is useful to consider what types of dysfunction present in musculoskeletal disorders. A sub-classification system is required to address the widespread dysfunction that presents with acute LBP and chronic LBP. A model should consist of at least three criteria. It should agree with the known scientific knowledge (or provide a reason for the disagreement); it should not make unsubstantiated assumptions; and it should provide a rehabilitation directive (Gibbons 2004). Physiotherapists have traditionally used the client’s pain pattern, and physical findings such as pain provocation tests to aid in labelling the tissue or structures contributing to mechanical pain. It should be noted that the reliability of such as assessment is limited for various tests, and is strongly recommended against in the presence of significant central sensitization. This sub-classification addresses the diverse range of motor function deficits people with chronic pain present with. These have been further sub-classified into Movement Patterns, Translation Control, Respiratory Control and Motor Fitness. If the patho-anatomical model labels the source of the client’s pain, diagnosing movement patterns identifies the mechanical cause of their pain. The sub-classification of Movement Patterns is based on the premise that habitual movements place stress on tissues and lead to microtrauma and eventually irritation and symptoms. Studies consistently show that subjects with chronic pain move differently than normal subjects. Movement Patterns is a useful model to work with clinically to help in explaining symptoms to clients and in prescribing therapeutic exercise. This sub-classification can be further sub-divided into different directions, vertical loading efficiency and translational control and this is illustrated on our courses. Articular translation control deficits present in many subjects with musculoskeletal problems, but not all. Research in the lumbo-pelvic region shows that if you have an articular problem, specific motor control training of the muscles that control translation provide a therapeutic benefit (Gibbons and Clark 2009). If you have non-specific low back pain, these exercises are just as effective as doing other types of rehabilitation. Clinicians have to be careful not to inappropriately choose to diagnose clients with a translation control deficit. Clients should not be automatically given these specific motor control training exercises just because they have pain. When they are prescribed, therapists should appreciate that this type of exercise should be combined with other forms of rehab, and not used as a sole intervention. As well, rehabilitation should aim to address the underlying mechanism of the deficit. It is unlikely that an isolated translation control deficit exists without other problems in the musculoskeletal system. Respiratory control deficits present as changes in respiratory function (i.e. breathing pattern) and in how much CO2 people breathe off (assessing for Hyperventilation Syndrome). These deficits exist in many subjects with chronic health problems. Respiratory Control can become a priority when Hyperventilation Syndrome exists or because people cannot breathe properly while doing other exercise. The sub-classification of Motor Fitness addresses the problems of strength, endurance and aerobic function. The research does not consistently show that people with chronic musculoskeletal problems have deficits in this area. Further, evidence suggests that these deficits can be related to psychological reactions so may not always be caused by the injury. However, if these deficits exist and they are required for normal function they should be addressed during the course of rehabilitation. PSF are related to musculoskeletal symptoms, taking sick leave, the development of psychological signs, health care seeking and poor outcome with certain types of injuries. We have developed a Psychosocial Factor Screening Questionnaire to assess for PSF in all aspects of people’s lives and a clinical protocol to address the findings. Psychological reactions often occur as a result of perceived negative psychosocial factors, but can occur independently. These are related to a poor outcome and disability in many conditions. There are numerous psychological screening questionnaires available to the therapist. We will show you how to use these clinically. A sub group of clients have difficulty understanding the exercises or education we give them. These people have significant deficits in proprioception and sensory motor function, learning skills, and have poorly integrated primitive reflexes in the nervous system. Research shows that there is a strong relationship between proprioception, sensory motor function and cognitive function. The presence of primitive reflexes significantly affects normal motor control and makes it difficult for clients to learn specific motor control exercise. The reduced cognitive function also makes them more susceptible to experiencing psychological reactions to pain and experiences. Research shows that certain types of exercise can improve cognitive function. Clients can undergo this category of rehab and then move onto other aspects of rehab when their motor control and cognitive abilities allow. We can show you how to identify these people and give alternative treatment options. To complete the concept of sub-classification, we need to be aware of individual factors. Although Individual Factors do not constitute a type of sub-classification, people present with individual characteristics that will influence their management and outcome. Some examples include: co-morbidities, nutrition, poor outcome indicators, genetics, and hormonal factors. We’ll show you how to make the five categories of diagnosis, how to decide which diagnosis is a priority, and the types of therapeutic exercise and interventions to use for each diagnosis. You’ll learn who benefits most from pain education, cognitive behavioural therapy, active exercise, stability exercises, manual therapy, neural mobilization & other techniques. 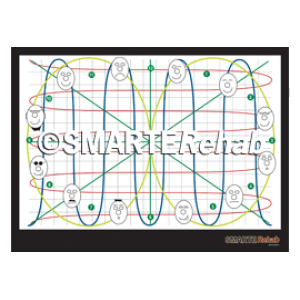 An additional tool is the The Functional Performance Evaluation © which will help you work out the functional requirements for each individual and design a rehab program to match their individual needs. 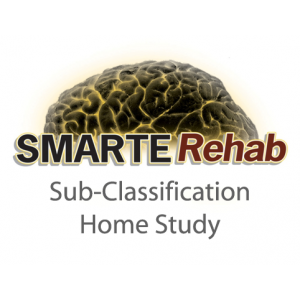 The SMARTERehab System is a four stage process to help guide you through the complexity of the client (assess→sub-classify→rehab→re-evaluate). The vast amount of information required to manage each person is broken down into stages with clear and easy to understand diagnostic priorities and clinical prediction guidelines for rehab. Dankaerts W, O'Sullivan PB, Straker LM, Burnett AF, Skouen JS 2006 The inter-examiner reliability of a classification method for nonspecific chronic low back pain patients with motor control impairment. Manual Therapy. 11:28-39. Harris Hayes M, Sahrmann SA, Van Dillen LR 2005 Classification and treatment outcomes of a patient with lumbar extension syndrome. Physiotherapy Theory and Practice. 21:1–16. Leboeuf-Yde C. Back pain- individual and genetic factors. J Electromyogr Kinesiol. 2004 Feb;14(1):129-33. Review. Woby SR, Watson PJ, Roach NK, Urmston M 2004 Adjustment to chronic low back pain–the relative influence of fearavoidance beliefs, catastrophizing, and appraisals of control. Behav Res Ther. 42:761–74.